Some songs feel diminished after we hear their backstory — their magic is tarnished, somehow, and their mystery lost. Other songs, however, are enhanced after we hear the stories that inspired them. 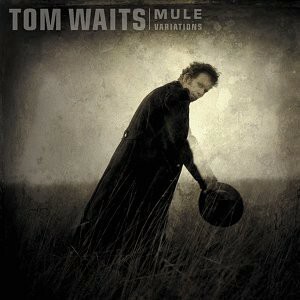 Tom Waits’ “Georgia Lee” is one of the latter. Waits himself seemed to feel the same way, as the song was nearly left off the album. Ultimately, he decided to include it because his daughter remarked how sad it would be if Georgia Lee’s story was never heard. Waits felt she had a good point. After hearing Lee’s story, I do too. Her full name name was Georgia Lee Moses. She was 12 years old on the 1997 day she was abducted and murdered. They found her body in Petaluma, California. It’s a sad enough story, just knowing those facts. What’s sadder, however, is how the girl had already been abandoned and forgotten long before she died. Some even believe she may have survived her abduction if the community had reacted quicker to her disappearance. The problem was that, until her body was found, few people even realized Moses existed. Moses was a black girl and a middle school dropout. She lived with her disabled mother in extreme poverty. Stories circulated that she liked to “run around” (and some say there were underlying suggestions that her “running around” meant she was at fault for her own murder). She was a kid who’d slipped through the cracks. Just twelve. Four years before Moses’ death, in that very same area of Petaluma, Polly Klaas, also twelve, was found dead. Search for Klaas’ name and you’ll find no end of information on the story. Wynona Ryder dedicated her Little Women performance to her. The girl’s death prompted national mourning and inspired California and other states to sign the Three Strikes Rule, which was intended to keep violent offenders off the streets permanently. Klaas’ story is undoubtedly sad and by no means undeserved or unwarranted. The thing that many did and do consider sad, however, is that Georgia Lee Moses initially received nothing close to the kind of attention that Klaas did. I’ve read a lot about this case. I have no idea if Moses’ race or socioeconomic status were really the reason for her being handled so differently than Klaas’ by the media and the authorities. They very well may have been. There also very well may have been other factors at play. I don’t know and I’m not here to make that the central issue. Personally, my heart just breaks for the kid. She’d not been given much of a chance at life. At 12 years old she was living wild, unsupervised, with no real hope in sight. There were warning signs galore that she was in trouble, but the authorities and her community failed to notice. At an age when her biggest concerns should have been dealing with crushes and math tests and intramural sports, she was floating around in a bleak universe where no one seemed to care overly much about her. Then, it was simply too late. It’s a naive question, I know. There is no God and no meaning and life means nothing and we’re just philosophical cowards for needing to believe otherwise and yadda yadda yadda. I get it. Still, I can’t help but ask myself these questions when I hear such a story. The idea that this young girl received so little justice in life seems even sadder considering the possibility that there was no afterlife in which that could be rectified. Moses’ murderer has never been captured (Templeton, 2017). Thankfully (if there is anything to really be thankful about in the midst of such a sad tale), Moses’ death led to something positive. She directly inspired the creation of the Sonoma County Children’s Village. Her name is also memorialized in Waits’ haunting song. I don’t skip over this one anymore. What had once been a flyover track for me has now become one of the Mule Variations songs I most admire. I won’t say it’s a “favorite,” because how can such a terrible tale really be a favorite? But, I appreciate and admire the song for what it is. It tells a story that needed to be told. That’s how I see it, anyway. Faced with such tragedy, my last impulse is to condemn or accuse. I prefer to honor the girl in my own little way and to try my best to keep my eyes open for any other kids who’ve fallen into her situation and that I may be in position to help. Anyway, I ramble. Check out the song. Or, if you already know it, check it out again knowing the full story behind it. Lloyd, Robert. “Gone North, Tom Waits, upcountry”. L.A. Weekly. April 23–29, 1999. Templeton, David. “Remembering the victim of Petaluma’s sad unsolved murder”. Argus Courier. August 27, 2017.